Future Developments - Woodsmere Holdings Corp.
McConachie Apartments – Edmonton – 110 Units – Now Completed! 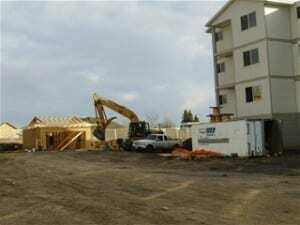 Woodsmere Holdings Corp. has commenced construction on 110 Apartment Units in Edmonton Alberta. This project, located at McConachie Boulevard & 60 Street in Edmonton, consists of 2 Buildings of 55 units each plus a Rental/Storage Building. This project will be called McConachie Apartments. New Head Office – Victoria – Now Open! Woodsmere Holdings Corp. has completed construction on its new Corporate Head Office in Victoria BC. This new Corporate Head Office is home to the headquarters for Woodsmere Holdings Corp. and W & J Construction Ltd.
Woodsmere Holdings Corp. will commence construction in 2019 on 94 Apartment Unit in The City Of Cold Lake. 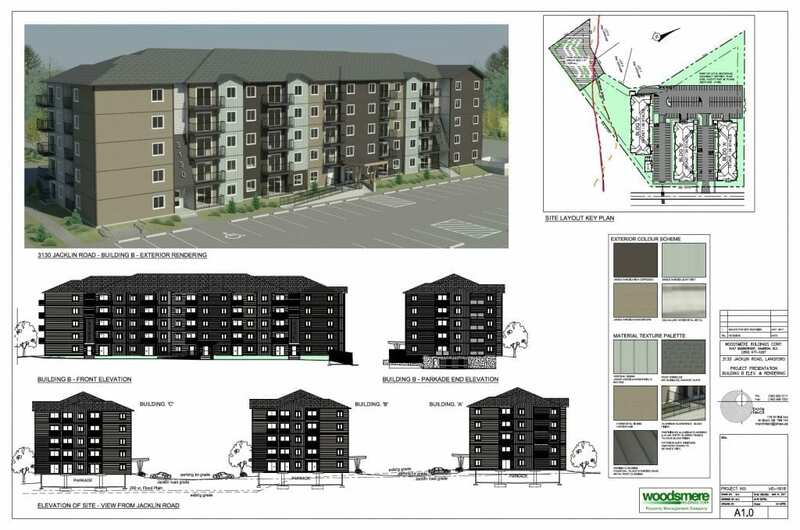 This project is located at 6812 – 47 Street, Cold Lake, Alberta and consists of 2 – 47 Unit Apartment Buildings plus a Rental Office/Storage Building. 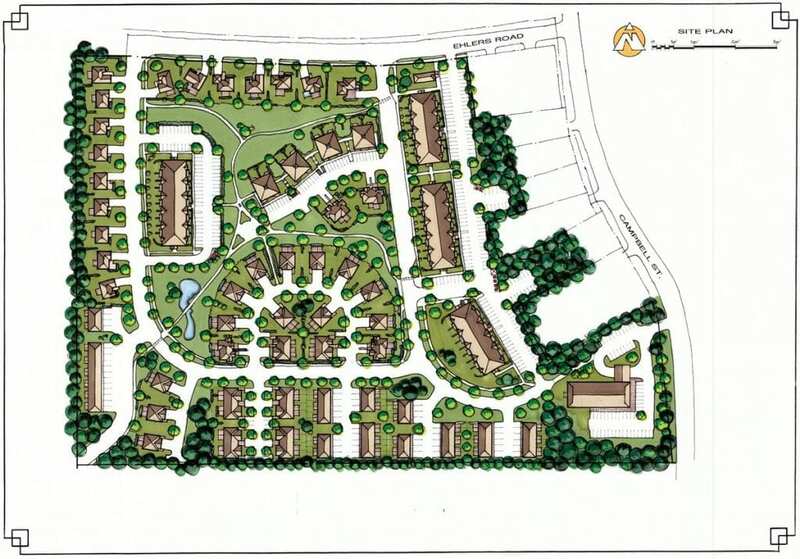 Each building will consist of 8 – Three Bedroom Units and 39 – Two bedroom Units. This project will be called Tri City Apartments. Woodsmere Holdings Corp. is proud to announce the purchase of 26.61 acres of land (825 Campbell St. – District Lot 116) in the District of Tofino on Vancouver Island. Woodmere Holdings Corp. has submitted a formal rezoning application to the District Of Tofino for a Comprehensive Development Zone. This zone will include a mixed use with a focus on residential rental type housing. We look forward to working closely with the District Of Tofino to develop this project which will address the needs of the community and a project we can all be proud of. Woodsmere holdings Corp. has recently purchased 5.12 Acres or 223,027 sqft. at 3130 Jacklin Rd. Langford, BC. With the completion of the Rezoning Application and Development Permits, Woodsmere Holdings Corp. has commenced construction on this new development consisting of 222 purpose built apartment units. This new project consists of 3 – 74 unit buildings. These Langford apartment buildings will be 5 storey’ s of residential units on top of a concrete parking garage. Woodsmere Holdings Corp. has purchased 4 lots in Langford BC zoned Commercial/Industrial (M2) and Residential. 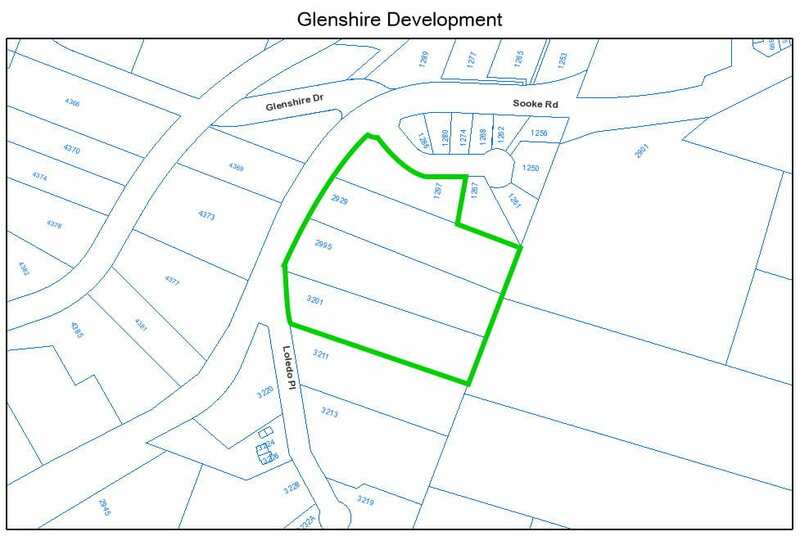 These lots are 1297 Glenshire Dr. and 2929, 2995 & 3201 Sooke Rd. for a total size of 7.33 Acres. Woodsmere Holdings Corp. has recently assembled and acquired 4 homes at 852, 856, 858 and 860 Orono Ave. These 4 homes will be redeveloped for another quality purpose built apartment building developed by Woodsmere Holdings Corp.
Woodsmere Holdings Corp. is currently developing plans for 2600 Mission Road in Courtenay BC. Woodsmere is proposing to build 2 – 47 Unit (94 units total) 4 story purpose built apartment buildings at this 1.06 hectares location.